Our Mission: We advocate for the civil and human rights of people with disabilities. We work to create and promote personal success, independence and community involvement for children and adults with disabilities. WeCAHR recently celebrated the anniversary milestone of 40 years of service! We thank all of our supporters, clients, past and present board members and staff. 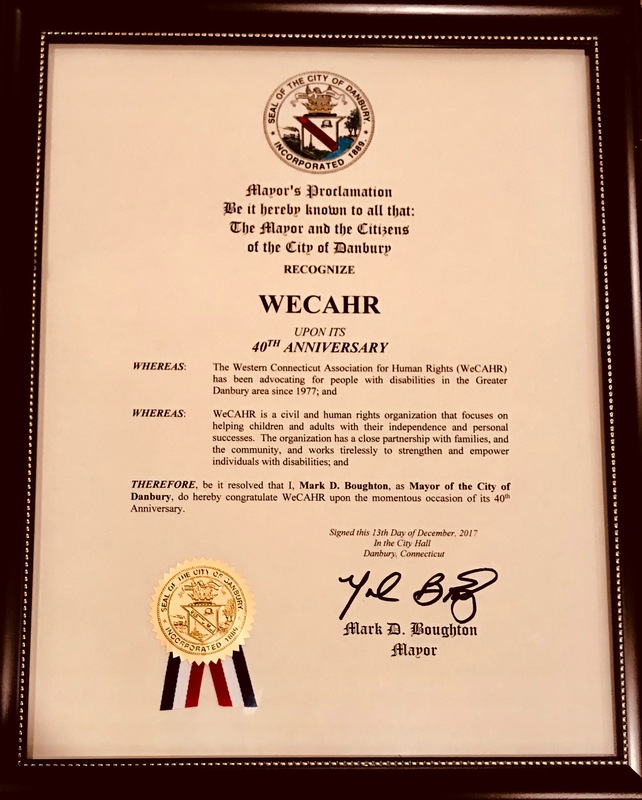 In honor of this milestone, Mayor Mark D. Boughton presented a Mayor's Proclamation to WeCAHR.